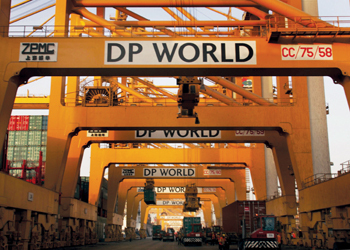 Dubai Ports World (DP World) will build and develop a logistics free zone in Senegal, the port operator announced. This follows the signing of an MoU by Sultan Ahmed bin Sulayem, chairman of DP World and chairman of the Ports, Customs and Free Zone Corporation (PCFC), with the Senegalese government. Present were the UAE Foreign Minister, Sheikh Abdullah bin Zayed Al Nahyan, and his Senegalese counterpart Mankeur Ndiaye. “Investing in the construction and development of the logistics free zone in the Blaise Diagne International Airport of Senegal is a new opportunity for us at DP World and PCFC,” said Bin Sulayem. According to Bin Sulayem, the new logistics free zone in Senegal is expected to be one of the most advanced and well-organised establishments of its kind in Africa and globally, using state-of-the-art equipment and technology in the operation and management of the zone. The project will also add new jobs for the Senegalese workforce, which would further boost economic growth and social welfare in the country. “The new logistics free zone complements DP World’s leading investments in the DP World-Dakar Terminal, which stands as West Africa’s largest and most modern container terminal after a new terminal was built in the facility in November 2011, doubling capacity to over 600,000 teu,” noted Bin Sulayem. Sheikh Abdullah expressed appreciation and support for the efforts being undertaken by DP World and the role it serves in advancing economic and commercial bonds between the UAE and the Republic of Senegal. The Senegalese foreign minister praised DP World’s growth-oriented projects and investments in Senegal, saying they largely contribute to the upswing of the local economy.